The best translation software for business will increase your productivity, reduce your company’s translation costs and improve the quality of your translations over time. What might surprise you is that the best translation software for business that you could invest in won’t display fancy bells and whistles. That being said, any business that frequently performs translations should consider enterprise translation software that is specifically made for users who aren’t professional translators by trade. While you will want to find a translation tool that gives you access to powerful translation technology used by the pros, you want to make sure that the translation software is user-friendly. This is key to successful user adoption and ease-of-use. Otherwise, you might be putting more work into learning how to use the software as opposed to actually saving time on translation production. We recommend that you try Pairaphrase. Continue reading to learn why Pairaphrase is the best language translation software for business. If you take time away from your day-to-day responsibilities in order to produce translations, it’s time for your company to start making more effective use of its employees time. Pairaphrase is the best translation software for business because it solves enterprise translation challenges using speed, security and intelligence. The power of professional translation technology works in the background so that you and your colleagues can focus on the human translation process without any confusing toolbars or commands. Not only does Pairaphrase display the easiest interface compared to any other translation tool on the market, but it is also the best translation software for business documents. Pairaphrase simultaneously translates multiple files. You can choose from any of 22 file types to translate in batches or individually. What’s more, Pairaphrase automatically formats the output documents so that you don’t need to. So whether you’re translating multiple PowerPoint decks or a translating a single PDF file, your file retains all formatting. Image placement, font properties, line spacing and paragraph breaks all remain in place so that you don’t spend hours manually reformatting your files. When you use Pairaphrase, you save hours of time because your translated business files are presented to you in a deliverable format. When it comes to evaluating a translation management system for your business, you must take note of the level of security it grants you and your organization. You’ll want to adopt the best translation software for business data security that is available on the market. Secure translation software is a critical component of your organization’s risk management strategy. This is because cloud translation software can be a goldmine for security breaches if the software doesn’t have strong security measures in place. Think of all the information you regularly translate. Whether your files contain trade secrets, sensitive financial data or a customer’s private information, would you want this to be made publicly available? Below are some of the security features available with your Pairaphrase account which contribute to Pairaphrase’s reputation for being the best translation software for business security. What’s more, Pairaphrase will never share, index, or publish your data. Only you and specified members of your organization can access the data in your account. You have the option to delete this information permanently at any time. Not only does Pairaphrase protect confidential data, it’s also the best translation software for business translation cost reduction. While risk mitigation comes with its own cost benefits, the software will also give you the power to reuse translations. This is called translation memory. It enables you to save text in a bilingual central repository and reuse your translations over and over again. This, in effect, will reduce costs and save you hours of time while continuously improving translation quality. 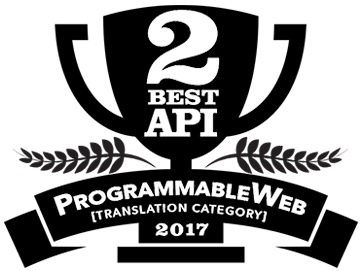 All the top translation companies and most professional translators use translation memory as an integral part of their translation process. Pairaphrase makes translation memory technology easily accessible to you as a business user. 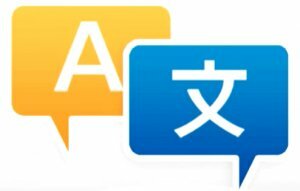 It is important to note that in order to reap the benefits of translation memory, human editing of machine translation or human translation is required. 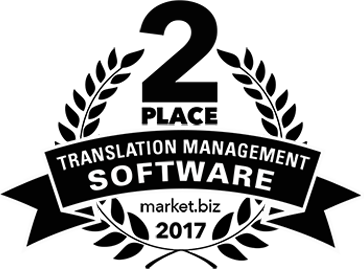 To learn more about the best translation software for business, view the full Pairaphrase features list today.